Beneath the surface of our wrenching national conversation in the aftermath of the Parkland, Florida, school shooting is a case study in how propaganda works in the hands of masters to sow demagoguery at the expense of basic humanity. After the Valentine’s Day school onsalught that left 17 people dead, right wing provocateur Ann Coulter wrote a column. 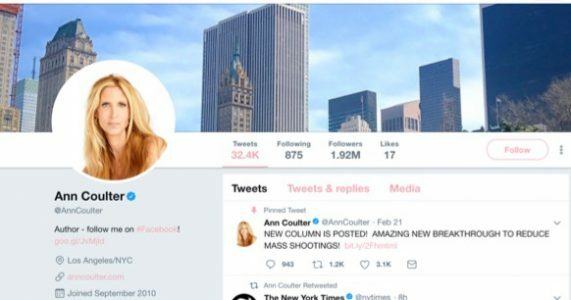 Coulter is one of only 45 people whom Donald Trump follows on Twitter, according to a Huffington Post story, Who Is Ann Coulter And Why Is She So Friendly With Donald Trump? Coulter and Trump are two peas in the celebrity pod. “Stirring up the pot,” as Coulter puts it, and being noticed are their mutual motivations. She is Trump’s most vocal supporter who matters. At the time her book, In Trump We Trust: E Pluribus Awesome!, was released in 2016, she warned Trump that she’d be riding him on immigration. She’s kept her promise. In response to the Parkland shootings, President Trump stirred the pot with fulminations about arming teachers. Coulter had a different mission. Her column – Amazing New Breakthrough to Reduce Mass Shootings! – was syndicated widely across the conservative echo chamber; on Breitbart, Townhall, Free Republic, Trapshooters, Fort Bend Herald, Trendolizer, Glocktalk, Patriot Post, Infowars, Veterans in Defense of Liberty and Conservative Angle, with a post on youtube and a boost from her Twitter account. The column appears to go after the FBI, whose investigations, of President Trump and his cohorts, Trump needs to undermine. But that was Coulter’s diversionary technique and a gesture to Trump that she has his back. The column isn’t about gun control either. Instead, Coulter identified “16 immigrant mass shootings” since 2000. That’s out of a total of about 34 mass shootings, as she counts them. Forty-seven percent, an ominous number indeed that plays into the polar characterizations of immigrants being the scourge on safe American communities vs. immigrants committing fewer crimes than real Americans and being one of the life forces of American growth and productivity. Who are these immigrants prone to mass shootings? As she wrote, they are first- and second-generation immigrants. I asked myself: Who the heck are second-generation immigrants? It’s an odd term that seems oxymoronic. It’s a real term, though confusing. 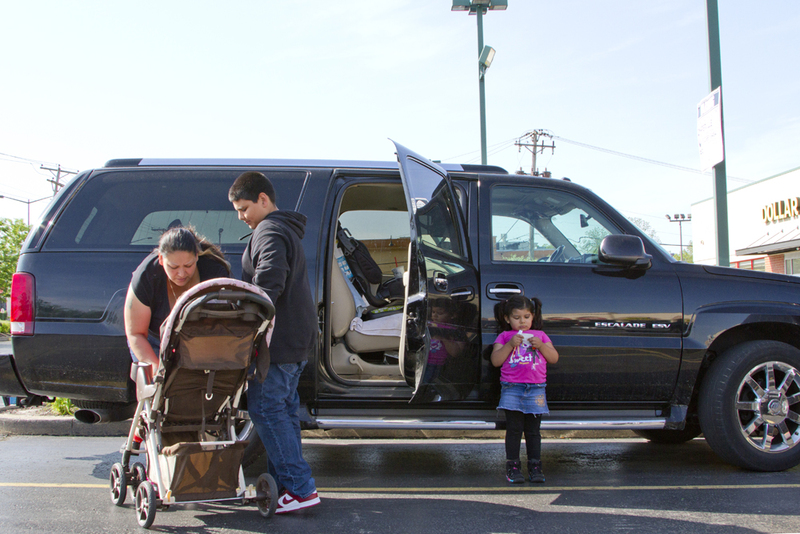 A second-generation immigrant is a person born in the U.S. 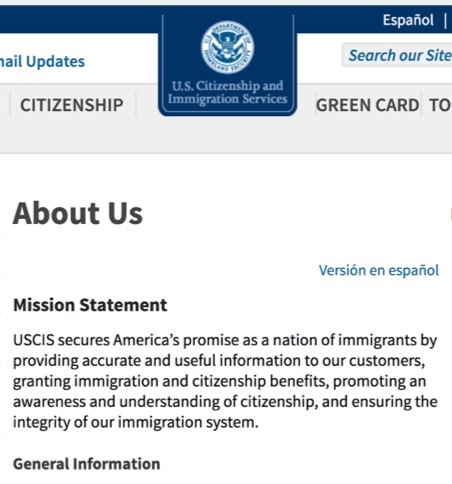 I thought we referred to them as Americans, or first-generation Americans, or proud Americans who, if they run for political office, take pride in being born of immigrant parents and in having made it. No more? Some have one immigrant parent, some have two, some have naturalized Americans as parents and have immigrant grandparents. According to the Pew Research Center, that’s about 20 million adults and another 16 million minors, or 15 percent of the U.S. population, who apparently aren’t “real” Americans, according to Coulter, and their numbers are growing. They tend to earn more and are better educated than their immigrant parent or parents. They are less likely to live in poverty. As Ann Coulter insinuates convincingly to those who see the world as she does, mass shootings would be cut in half and the FBI would not be as incompetent as it already is if it weren’t chasing immigrants who should be deported. As it is, the deported just get replaced by others in America’s perpetual motion immigrant chain. I have to admit that all this hits close to home. I’m a second-generation immigrant, though since I haven’t run for office, I’ve never thought of myself that way. Born in Chicago and all. I wonder if it hits close to home for Donald Trump who is a second-generation immigrant thanks to his Scottish mom. Or to his wife Melania who is a first-generation immigrant. I wonder if it hits close to home for Ann Coulter too. Don’t get me wrong. She doesn’t have immigrant parents to stain her pedigree that on one side goes back to the American Revolution. But she did have a father, John Vincent Coulter. So let’s take this in another equally ridiculous direction. 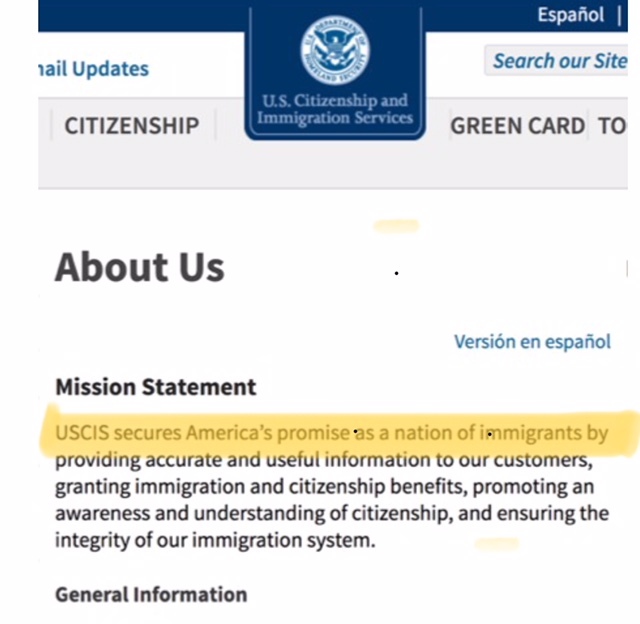 If I get her line of reasoning, second-generation immigrants are immigrants (rather than a first-generation Americans) because they are one generation removed from an immigrant and lived in the same house. Coulter is one generation removed from her father, and they lived in the same house, which according to my calculations, makes her, among other identities, a second-generation male. I’m no more an immigrant than she is a male. The irony, or the mastery, is that Coulter wrote the column in response to the Parkland school killings, which appear to have been perpetrated by Nikolas Cruz. Nikolas? Not a common American name, spelled that way. Cruz? Hispanic. Could be Spanish, Portuguese, Mexican, Honduran, Nicaraguan, or American, in that it’s the 12th most common surname in Puerto Rico and the most common surname of all in Guam, according to the lifelong learning site, ThoughtCo. Together, when the name Nikolas Cruz emerged on Feb. 14 as the perpetrator in the shootings, alarm bells were set off on far-right websites, Twitter feeds and chat groups. Of course, he’s an immigrant. The word was that he is a dreamer, which means an immigrant and one with illegal status in the U.S., and that he is a DACA recipient, which means to the far-right that he is being allowed to stay in the U.S. because of a suspect executive order then-President Obama abusively issued. Craig Brittan, a far-right Republican candidate to replace Jeff Flake as U.S. Senator from Arizona, jumped on. It turns out that Nikolas Cruz is not a DACA recipient or a dreamer or an illegal immigrant or an immigrant, even a second-generation immigrant, as far as anyone knows. Cruz was adopted in infancy by the Cruz family, who had recently moved from Long Island to Florida. 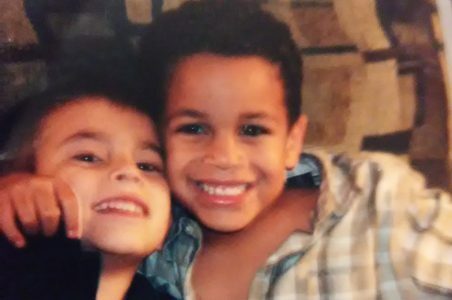 His adoptive father, Roger, died in 2004 when Nikolas was six, after which his adoptive mother, Lynda, raised him until she died of pneumonia last November, at which point James and Kimberly Snead of Parkland took him in. The couple, and their son who was Cruz’s friend, live in Parkland, which the trade association, National Council for Home Safety and Security, selected as the safest city in Florida for 2017, based on population data and the most recent FBI Uniform Crime Report statistics. It is not publicly known who Cruz’s natural parents were before Lynda Cruz and her husband adopted and named him. It has been confirmed that Cruz has been a member of a U.S. Army JROTC marksmanship program. Breitbart News and other media have reported that Cruz may lose the services of a public defender because he could inherit $800,000 from his late mother and father. The Chicago Tribune has profiled Cruz as a kid who by 19 years old already had a history of explosive anger, depression, and killing animals that stuck out in the “calm, well-to-do neighborhood of manicured lawns and sprawling tony homes” of Parkland where he picked fights with kids. Curiously, the Drudge Report, which is often considered the most influential conservative news aggregator in the country, has published nothing at all, not a single story, on the Parkland shootings or on Nikolas Cruz. No, Nikolas Cruz is not an immigrant, though his name ensures that Coulter, a touchstone for millions of alienated, angry, real Americans, can keep Trump’s feet to the fire by blowing on the Nikolas Cruz dog whistle. The dog whistle works, no matter how off key it is. Long after we’re sapped of mourning, and the urgent voices between gun control advocates and 2nd Amendment rights defenders have become hoarse in anticipation of another round, masters of propaganda like Coulter and Trump will have tightened the web of inhumanity that seamlessly bundles together illegals, immigrants, second-generation immigrants, chain migrants, terrorists, Muslims, refugees and troubled 19-year-olds with names like Nikolas Cruz into one xenophobic melting pot that will sully America’s character for generations to come. Is America’s promise literally gone? Has nation of immigrants been replaced by nation of enough immigrants? And I thought the Supreme Court was the cruelest legacy of the Trump years. Jack C. Doppelt is a journalism professor at Northwestern’s Medill School of Journalism, Media, Integrated Marketing Communications, founder and publisher of Immigrant Connect and SJNN (Social Justice News Nexus), author of this failed attempt to appeal to the Republican conscience – If Trump Makes It One Year Without Impeachment, Then Let’s Talk Supreme Court Nominees and of T-Rump and the march to extinction.